Les Kite Lynx HD sont des jumelles compactes polyvalentes à prismes en toit, robustes (gainage caoutchouc) et étanches (sous pression d'azote), avec d'excellentes performances optiques, notamment grâce à une optique Haute Définition. Mise au point très courte et champ ultra-large pour un confort maximal. Garanties 30 ans. Merci pour le suivi. J’ai bien reçu les jumelles. Très bon matériel. Vous m’avez bien conseillé. Dès la première sortie, j’ai pu observer un faucon hobereau dans de très bonnes conditions. 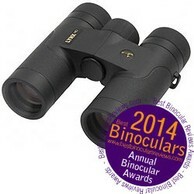 Their really wide field of view makes them a great easy to carry bird watching binocular, but combine this wide FOV with their small size and you have the perfect pair of optics for most most outdoor sporting events like motorsports, cricket, tennis, rugby, football, horse racing and more. Those with smaller hands & faces will appreciate these because once again their smaller size, the ease at which they can be held, the large easy to reach focus wheel and their close minimum interpupillary distance means these will really suit those with smaller hands making them ideal for older children and some women. People who carry lots of gear out in the field like photographers or some hunters will also value being able to store these in a jacket pocket. Their very close focus distance also makes these stand out as great bins for those who like to get better views of things like flowers and insects, especially butterflies at close range.